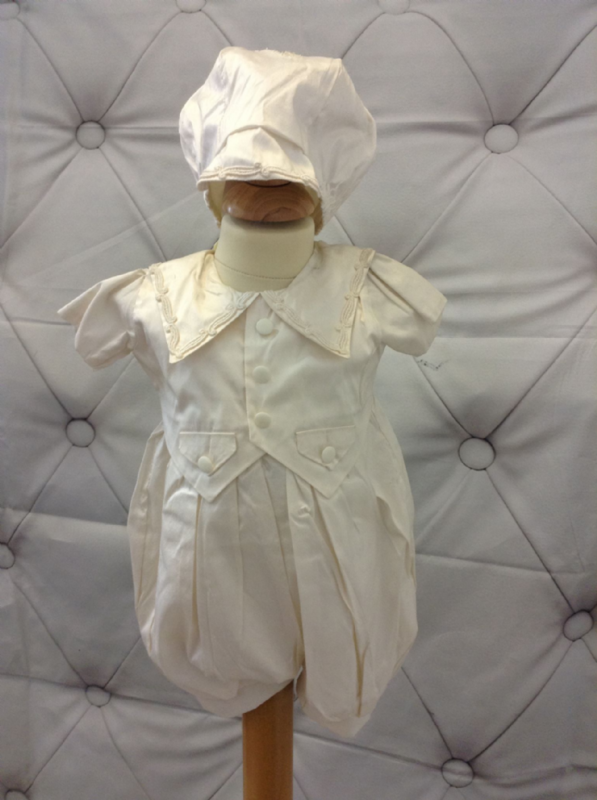 Vintage Silk Ivory Romper Suit with Blue Waistcoat, made from 100% natural silk and is also fully lined in polycotton. The lining is soft and cool against baby's skin. There is a zip fastening to the back, making it easy to put on and take off. Comes complete with matching hat. The below sizes are finished sizes of the romper, allow around 1" of room in chest and shoulder to underneath measurements to ensure a good fit. Shoulder to underneath nappy 17" 19"
Shoulder to finished leg 22" 24"
Please note: This romper is dry clean only. Add a garmet cover for £2.50 to help protect your romper when storing in a wardrobe.